SEOUL, Feb. 28 (Yonhap) -- South Korean President Moon Jae-in has no official schedule Thursday as he is closely following developments of the second U.S.-North Korea summit in Hanoi, officials from the presidential office Cheong Wa Dae said. 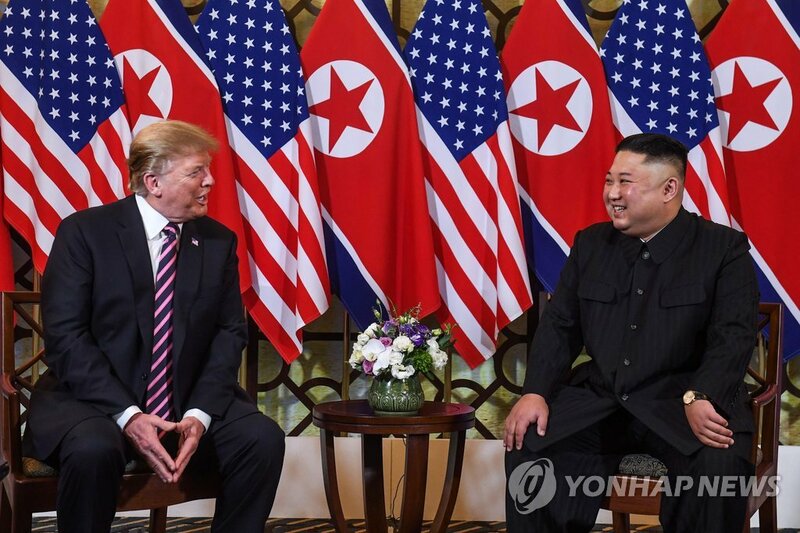 Cheong Wa Dae spokesman Kim Eui-kyeom earlier said the president will probably watch the summit between U.S. President Donald Trump and North Korean leader Kim Jong-un in Hanoi on television and receive reports on any developments of the event that he has said may also set the future of inter-Korean relations. The president was said to have closely watched their globally televised meeting over a social dinner Wednesday, the first day of their two-day summit in the Vietnamese capital. Trump and Kim were set to hold their official summit later in the day where they were widely expected to sign a fresh agreement on the denuclearization of North Korea. The two held the first-ever U.S.-North Korea summit in Singapore in June. President Moon has expressed hope the latest meeting between the two would make great progress. The South Korean leader has also expressed hope for an enhanced denuclearization agreement that may lead to at least a partial removal of U.S. and international sanctions against Pyongyang. In a telephone conversation with Trump last week, Moon encouraged the U.S. president to use inter-Korean economic cooperation as one of his options for incentives to the North's denuclearization steps. Moon has repeatedly worked as a mediator between the U.S. and North Korea, saying his primary goal is to rid the North of its nuclear weapons no matter who takes the credit. "The two leaders of the North and the U.S. have come this far after walking the path that no one else walked before," Moon said earlier. "Should President Trump succeed in dismantling the last remaining Cold War regime on Earth, it would be another great achievement that will clearly go down in the history of the world," he added. Still, Moon insists the fate of the Korean Peninsula must ultimately be decided by his country and North Korea. "We are no longer in the periphery of history. I hope we will open a new era with pride and confidence that the strength to decide and open the next 100 years rests in us," he said in a Cabinet meeting Tuesday. Cheong Wa Dae officials note President Moon and President Trump may talk later in the day as the U.S. president has promised to explain the outcome of his Hanoi meeting as soon as possible. Moon and Trump have also agreed to meet in person to discuss the outcome of the second U.S.-North Korea summit and direction of their future efforts to denuclearize the Korean Peninsula.